For the Dirt Bike Magazine 2019 Off-Road bike Buyer’s Guide, click here. If there were ever a bike manufactured by planet Earth, this is it. The motor in the PR7 can trace its origins back to Italian Husqvarna engineers, before KTM and BMW got involved. The chassis was designed in Portugal, and other components were sourced all over Europe. The result is a 600cc rally machine for racing only. DOT certification in the U.S. hasn’t yet been granted. 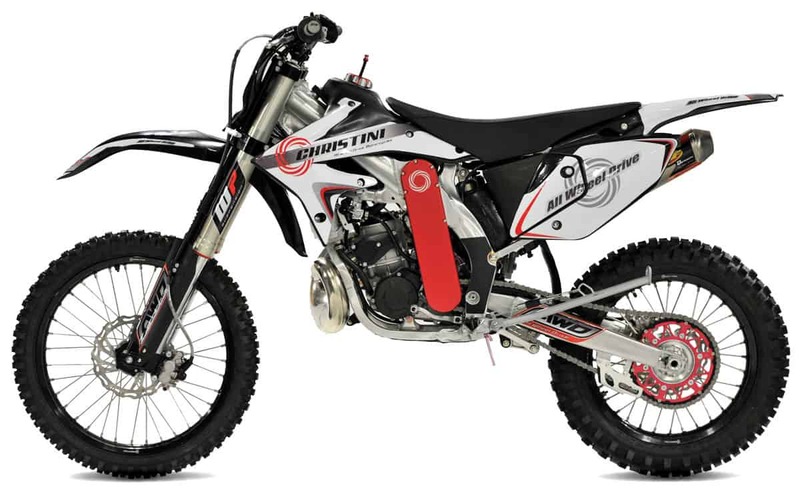 TM still offers a true Open-class enduro bike. The 530 FI ES is a legitimate 528cc mauler. It’s based on the 450, but with a 3mm-larger bore and a 6.6mm-longer stroke. Both bikes are fuel injected with electric start. Like all TMs, they are handmade in Italy with aluminum frames. The shock is made in-house at TM, and the fork is a KYB. 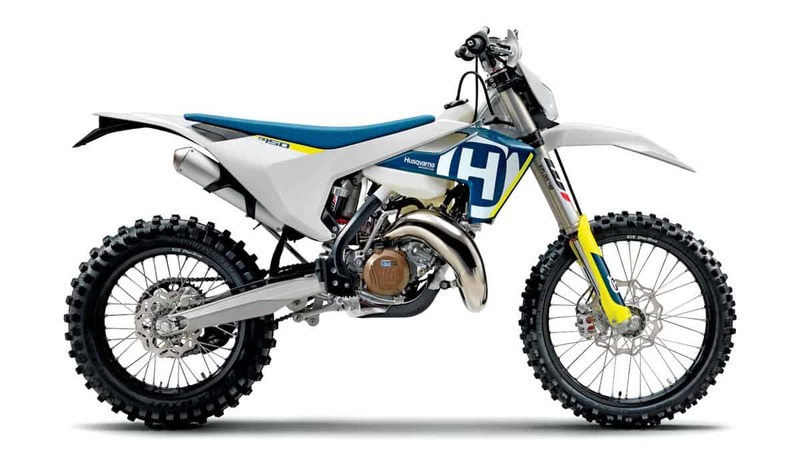 Beta’s standard RR four-strokes have made the transition to full-fledged dual-sport bikes, but the Race Editions shown here are made with the dirt purist in mind. They have upgraded suspension and have been stripped of the DOT equipment. This year they have new clutches, among other changes. The 480 and 430 are identical aside from displacement. 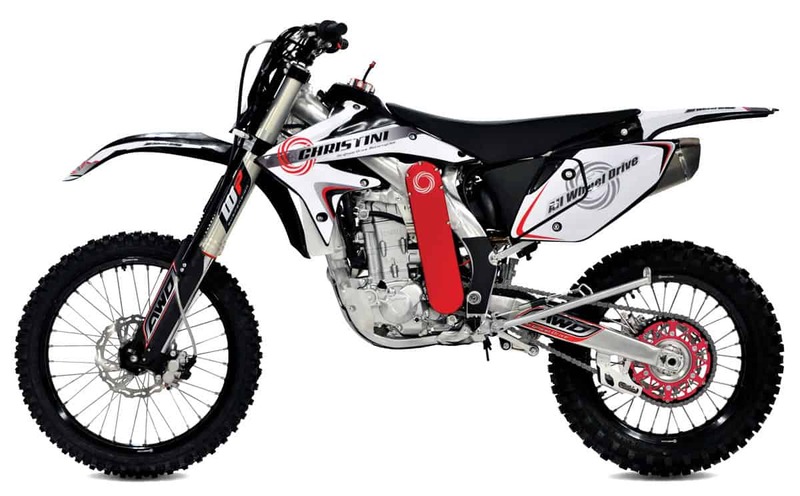 Christini is an American company that has engineered a true two-wheel-drive system that’s lightweight and unobtrusive. 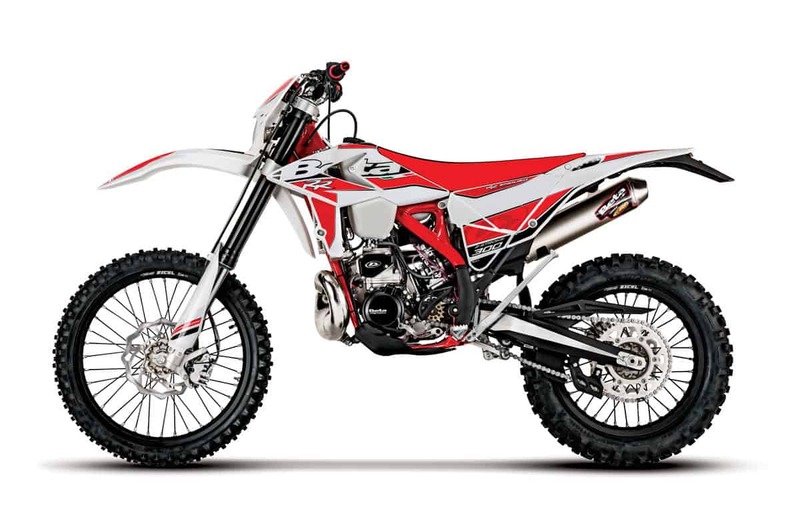 The system is incorporated on an Asian-made, electric-start 450 four-stroke that bears a striking resemblance to a Honda CRF450X. The bike features WP suspension and fuel injection, although it’s also available with a Keihin FCR carburetor. The off-road version of the Honda CRF450 is similar to the MX bike in most ways but has softer suspension, a larger fuel tank (2.2 gallons) and different EFI settings to give it a smoother power delivery. The bike also has a kickstand and an 18-inch rear wheel with a Dunlop Geomax AT81 tire. This bike is considered a closed-course competition bike. 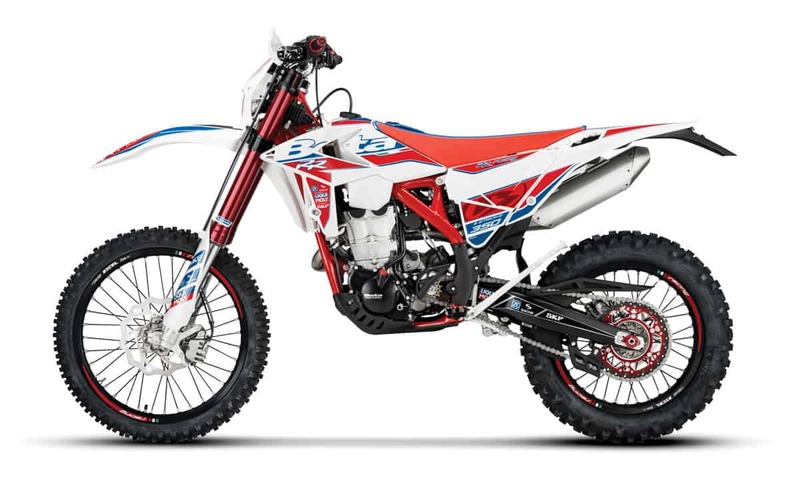 The guys at Team Ox still consider the Honda CRF450X the best bike for their off-road racing efforts and use it to win the Baja 1000 year after year. 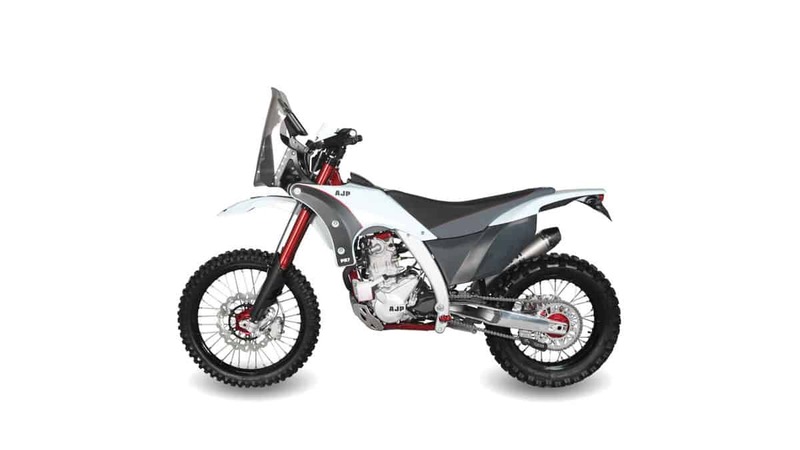 The X is a legitimate, EPA-approved, off-road bike and doesn’t come with a throttle stop or restrictors, just an old-fashioned Keihin CRF carburetor. In stock form, the power is mild but appropriate for trail use. 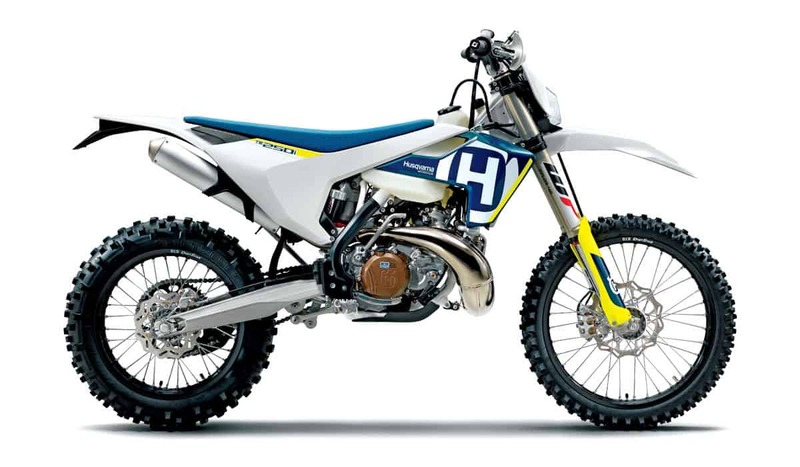 There’s very little difference between the Husqvarna FX450 and its motocross counterpart, the FC450. The FX has softer suspension settings, a larger tank, a kickstand and an 18-inch wheel. The suspension parts (WP shock and WP AER 48 fork) are similar to the MXer’s, as are the gear ratios. 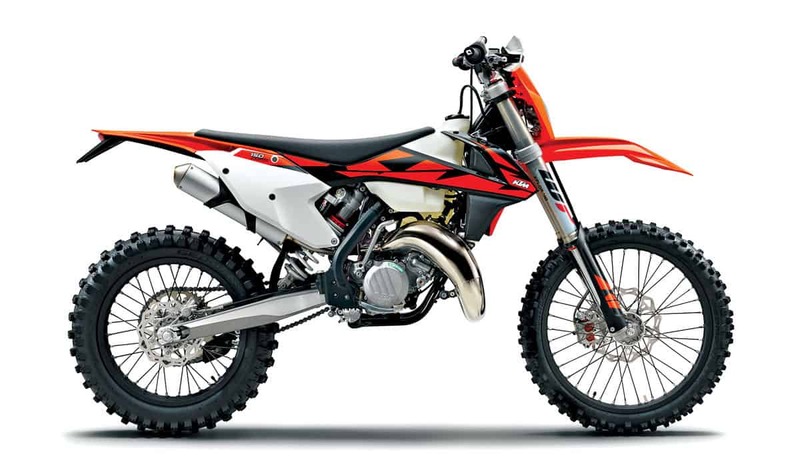 The FX is also very similar to the KTM 450XC-F, aside from the airbox, bodywork, muffler and a few components. Last year KTM dropped the four-stroke XC-W dirt bike line and directed trail-riding buyers to the fully street-legal EXC line. 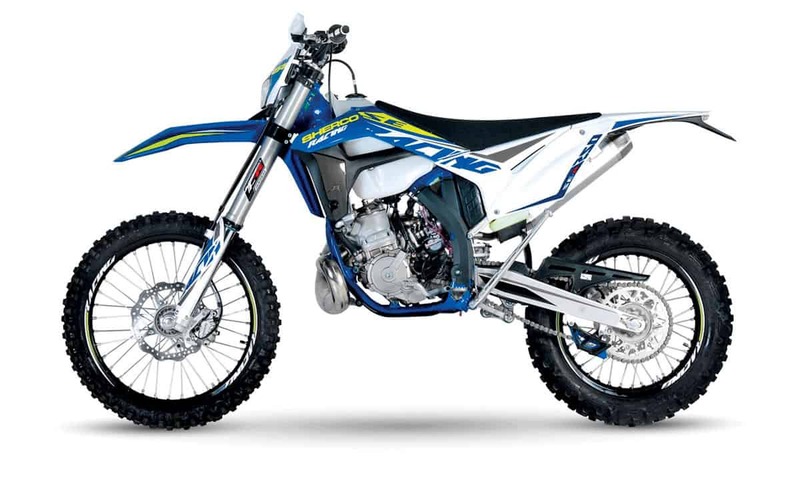 That left the 450XC-F to carry the company’s off-road race efforts in the big four-stroke class. 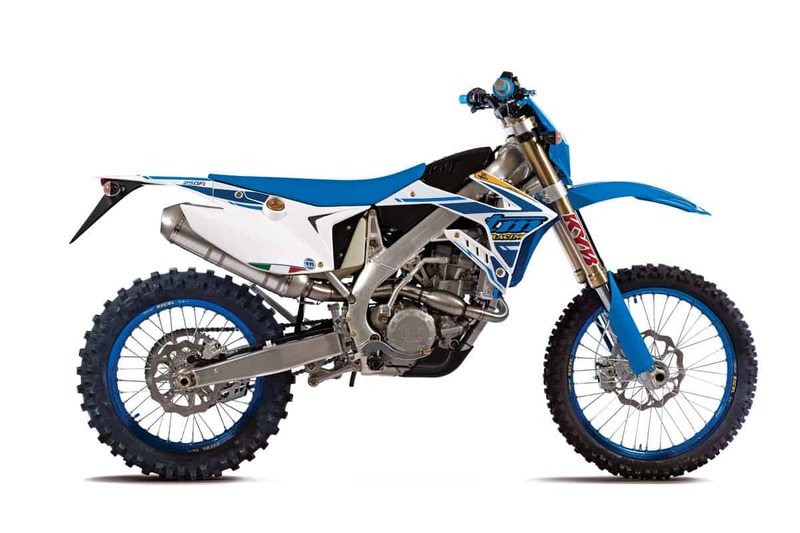 It’s almost the same bike as the 450SX-F motocrosser but with a softer shock, a larger tank (2.25 gallons), a kickstand and an 18-inch rear wheel. Sherco is a tiny French company that’s growing fast. 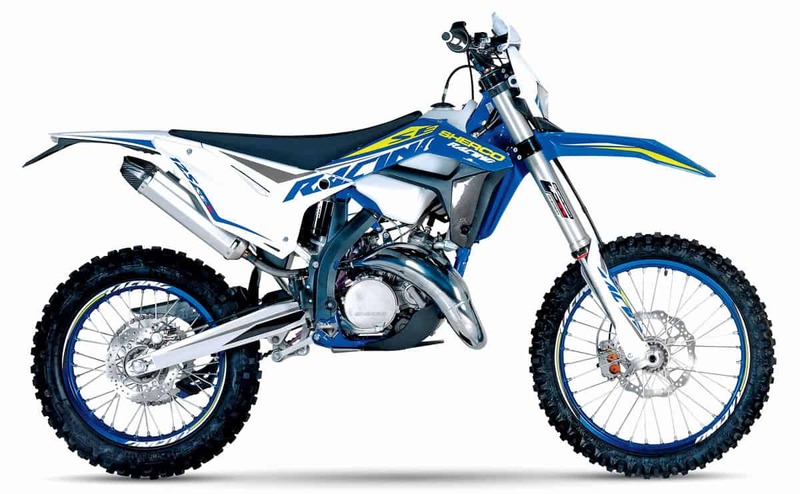 The company will produce around 22,000 off-road bikes this year. The 450 is the basis for the TVS rally team, which routinely breaks into the top five in international rally competitions. The standard model has a number of motor upgrades for 2018. It’s an electric-start-only bike with EFI and WP suspension. SSR manufactures products in mainland China to the specifications of the U.S. importer and offers surprisingly good quality at a price that’s very appealing. 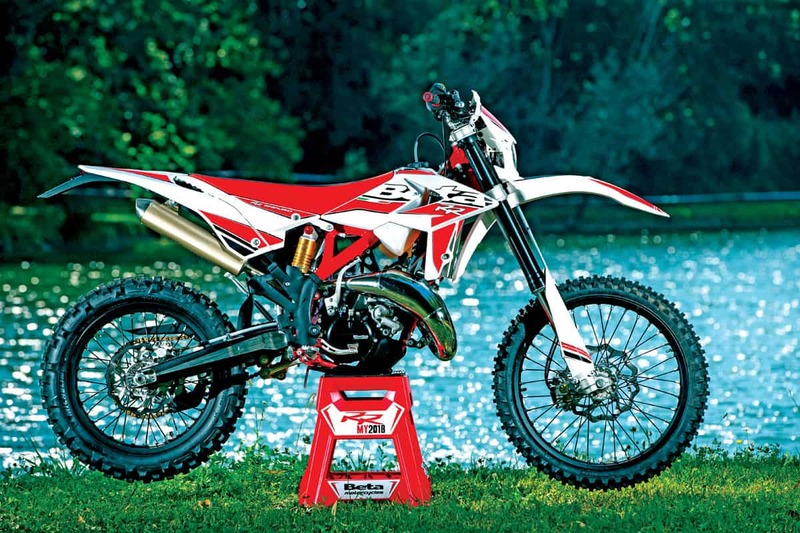 The SR450S is clearly inspired by the Honda CRF450X but costs thousands less. The bike has proven itself in competition at the local level with Jeff Willoh. It’s an electric-start five-speed with a Teikei carburetor. 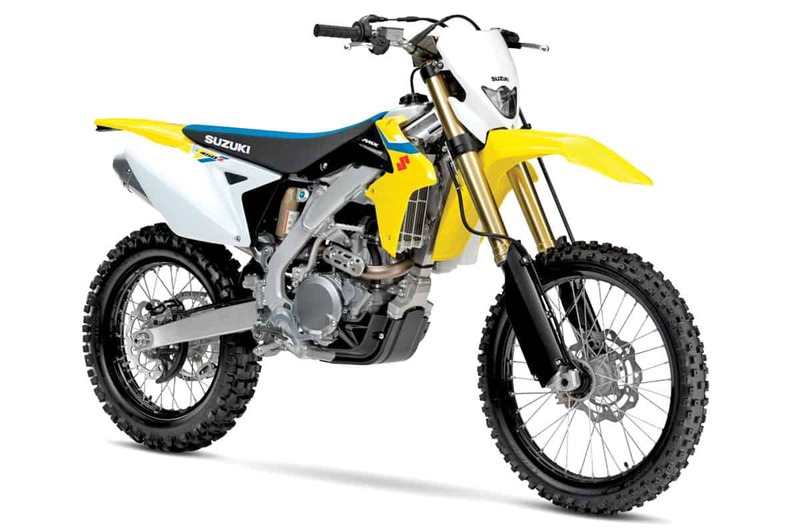 When Suzuki originally released this bike back in 2010, it was pulled off the market for frustratingly trivial EPA violations. Now it’s back, and it complies with every rule to make it a legitimate off-road bike eligible for a California green sticker. It has electric start and a wide-ratio gearbox. In stock form, it has a stop that only allows partial throttle opening. This is Yamaha’s take on the closed-course competition off-road bike. 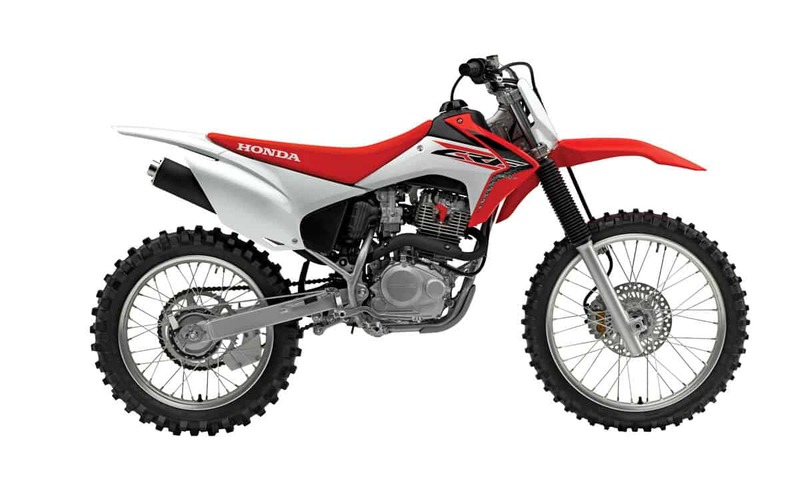 Unlike the KTM, Honda and Husqvarna, it has a dedicated off-road gearbox with a granny gear for really tight trails. 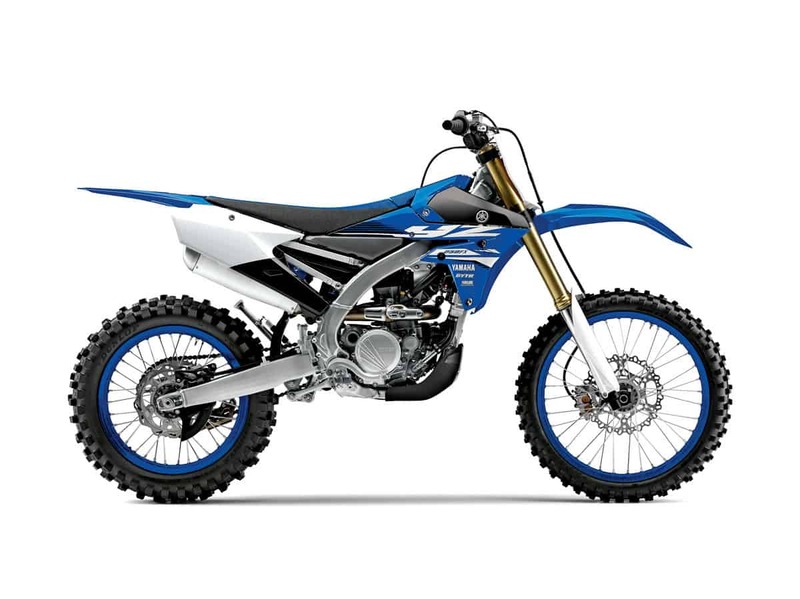 Otherwise, it’s a blood brother to the 2017 motocross YZ450F, but with smoother power delivery, softer suspension, a kickstand and an 18-inch rear wheel. 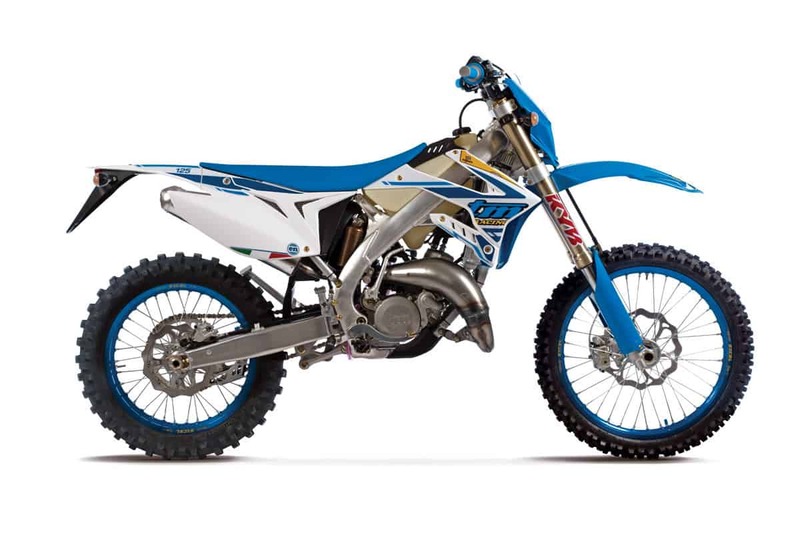 The FX doesn’t have any kinship to the newly released 2018 YZ450F. 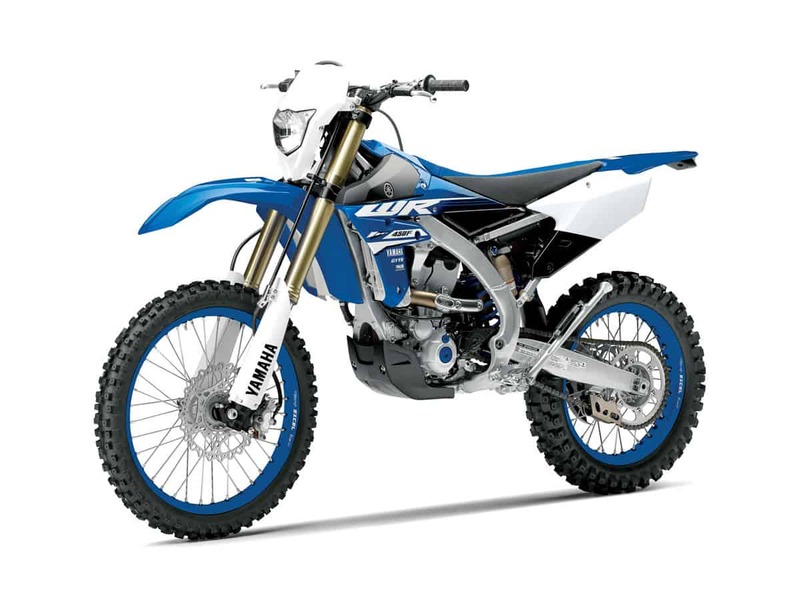 For those riders who want an officially approved off-road bike, Yamaha did all the footwork to get the WR450F through the bureaucracy of EPA and CARB. The WR comes with a throttle stop and an exhaust baffle to do that. It offers a headlight, an enduro computer, an O-ring chain and a radiator overflow bottle. The WR can be modified into a competition bike with a few aftermarket parts. 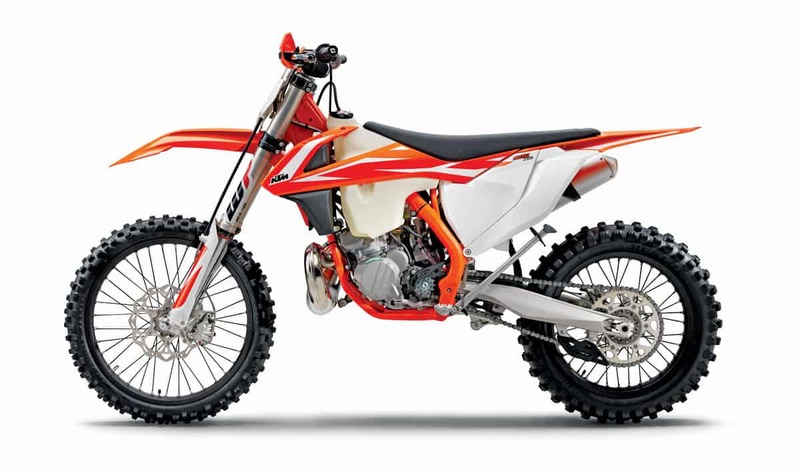 In the 2018 Beta model line, the standard edition four-strokes are street-legal. The Race Editions shown here, on the other hand, are dirt only and imported as closed-course competition models with upgraded suspension and extra features. The 390 and 350 share the same chassis and, in fact, most of the same motor. The displacement is different, and that gives each bike a different personality. 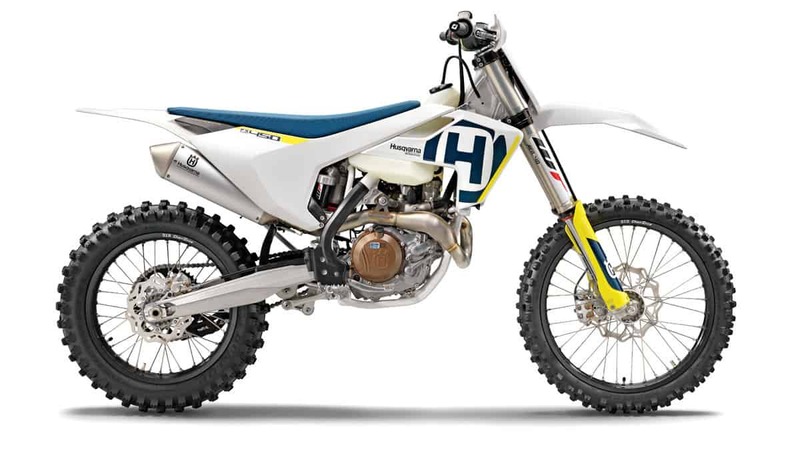 Husqvarna’s race-oriented off-road 350 is one of the company’s most popular models. 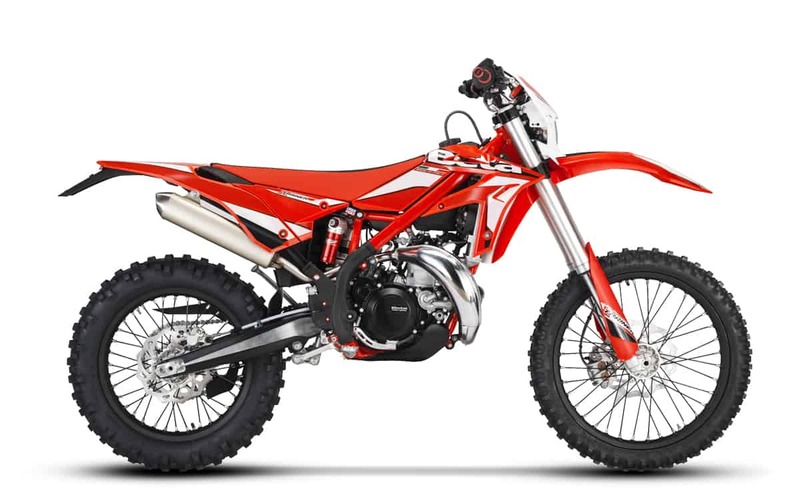 As most people know by now, KTM and Husqvarna are owned by the same parent company, so this bike shares the same motor and frame with the KTM 350XC-F. The Husqvarna gets different bodywork, a Magura clutch master cylinder, D.I.D Dirt Star rims, Pro Taper bars and a number of other features. 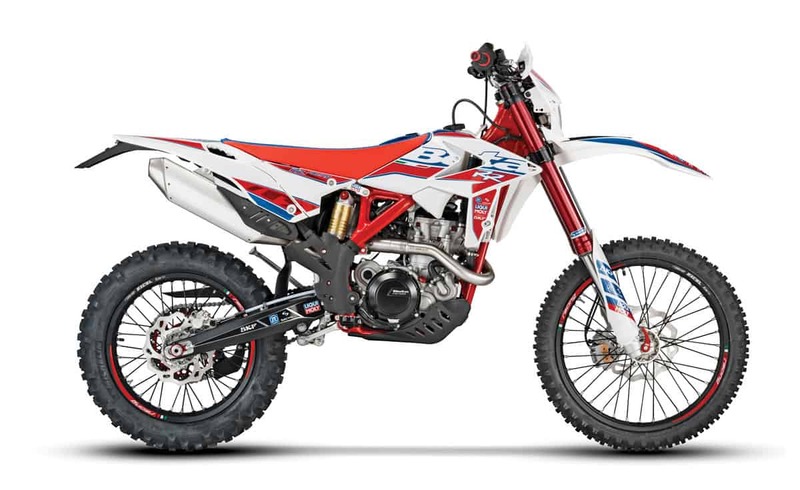 This is the most successful off-road race bike in America right now, with Kailub Russell winning the GNCC series on it, as well as Steward Baylor in contention for the National Enduro crown. The XC-F is based on the 350SX-F, but has a six-speed gearbox, a larger tank, softer suspension settings, handguards, a kickstand and an 18-inch rear wheel. It’s EPA certified as an off-road bike. Most riders agree that the Beta 300RR can go toe to toe with any off-road two-stroke in the world. It has electric-start, a six-speed gearbox, oil injection and Sachs suspension components. The 2018 models have lost over 10 pounds in overall weight. The motor has a new top-end, crank and connecting rod, and the kick-start lever has been eliminated. The upgraded 300RR Race Edition is competition-oriented and has no oil injection for $8950. The Xtrainer is slightly smaller, shorter and mellower than Beta’s 300RR. It was originally designed for less experienced riders, but even pros have come to love it for its incredible versatility. It can snake through the tightest trails where full-size bikes barely fit. It also has oil injection, electric start and a much lower price than the 300RR. Christini uses a combination of chains and shafts to drive the front wheel at a slightly slower speed than the rear, meaning that when traction is good, it’s basically a rear-wheel-drive motorcycle. When the rear wheel spins, the front wheel engages. 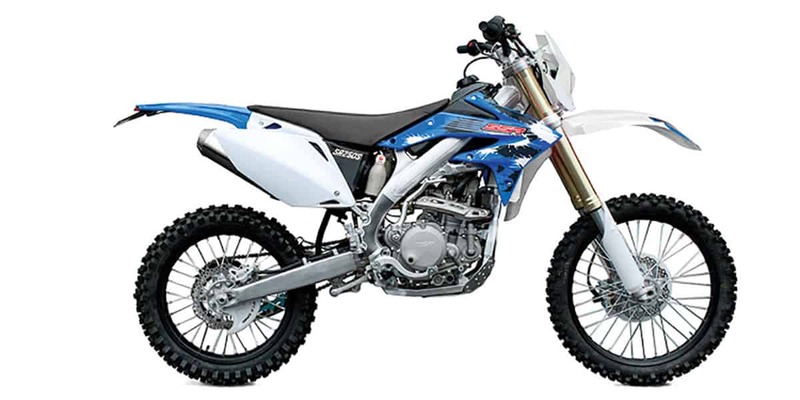 The 300 two-stroke uses a Gas Gas motor in a Christini-designed aluminum chassis. Gas Gas has been the focus of substantial reinvestment since being acquired by Torrot. 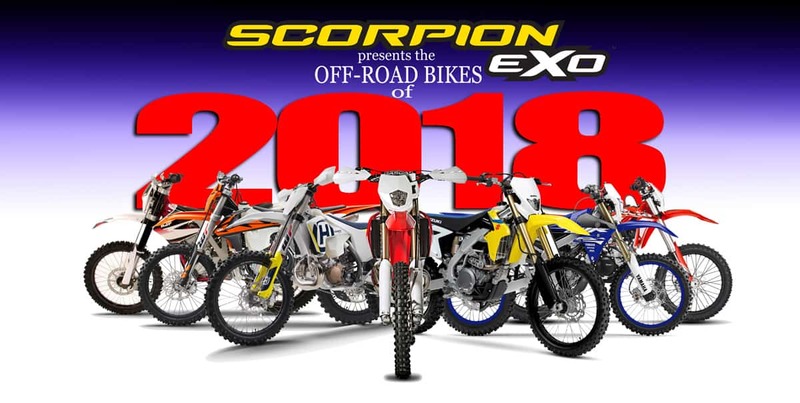 The EC300 and EC250 models have completely new frames, bodywork and suspension for 2018. The motors have new top ends and cranks. Horsepower is up, weight is down, and the company is alive and kicking. The 250 differs from the 300 only in bore size. There will also be an EC200 for $8899. 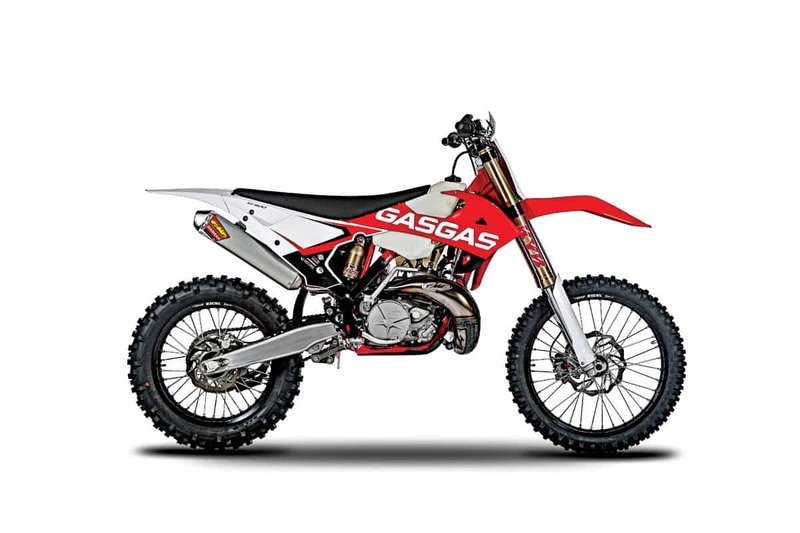 Gas Gas makes both its 250 and 300 two-strokes available in a stripped-down version for cross-country racing. The XC models, like the EC (enduro) models, have new frames and new top ends for 2018. They have the same KYB suspension but without the headlight or instruments. The XC models also get FMF exhaust pipes and silencers. An XC200 will sell for $8599. 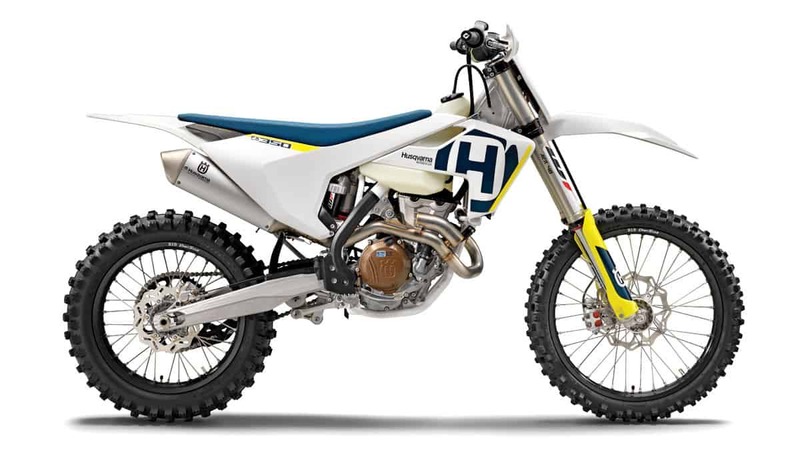 Those who say that Husqvarnas are just white KTMs haven’t really looked at Husky’s TE trail models. The KTM XC-Ws are aimed at the same market, but the TEs have linkage suspension, a unified subframe and airbox, Pro Taper handlebars, D.I.D Dirt Star rims and a Magura master cylinder. This year the brakes are made by Magura. 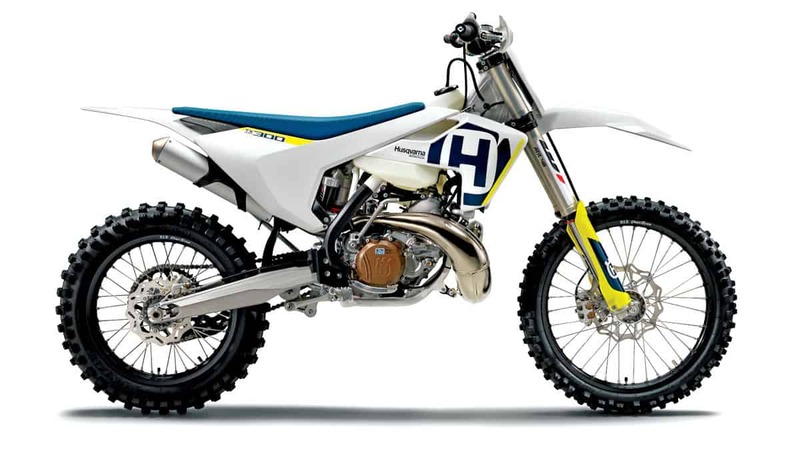 The Husky 300 and 250 are identical aside from bore. The TX300 is a racier version of the Husky TE300. It has more aggressive suspension and a little more hit. The fork is a WP AER 48 air fork, whereas the TE version has an open-cartridge Xplor 48. It has Brembo brakes, Pro Taper bars, a Magura clutch master cylinder and D.I.D Dirt Star rims. Like the TE, the TX has electric start, and it keeps its kick-start lever. 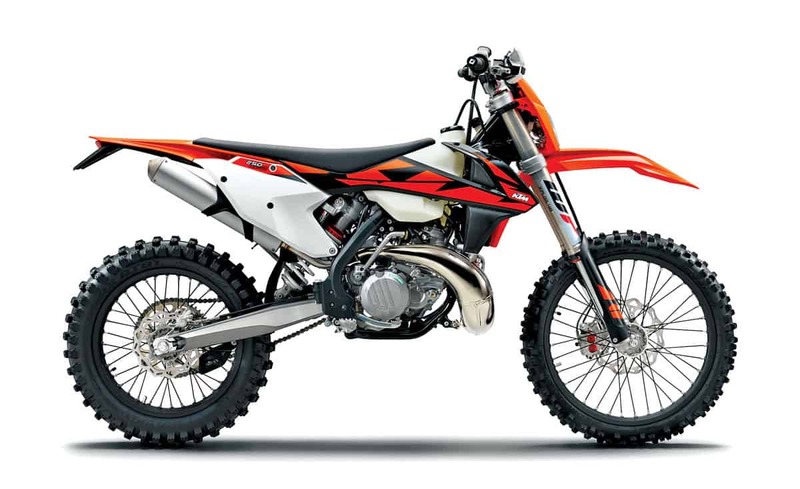 In KTM model language, bikes that have the “XC-W” suffix are more trail-oriented than those without the “W.” So, the 300 and 250XC-W both have cushy, no-linkage suspension, wide-ratio gearboxes and a smooth power delivery. Both have the WP Xplor coil-spring fork and a WP PDS rear shock. Unlike their relatives in the Husky TE line, KTMs have Brembo brakes. The fuel injected version of the 250XC-W is $9399. 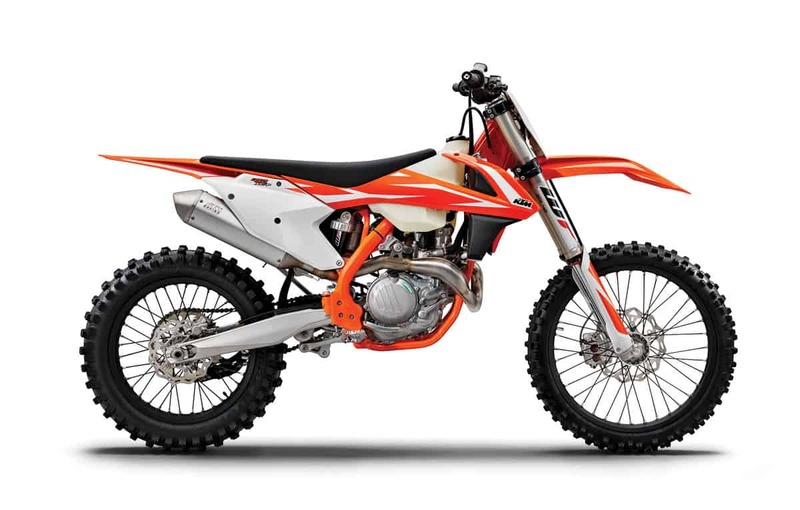 These are the more race-oriented off-road two-strokes in the KTM lineup. They still have electric start and counterbalancer shafts like the XC-W line, but the suspension is quite different. 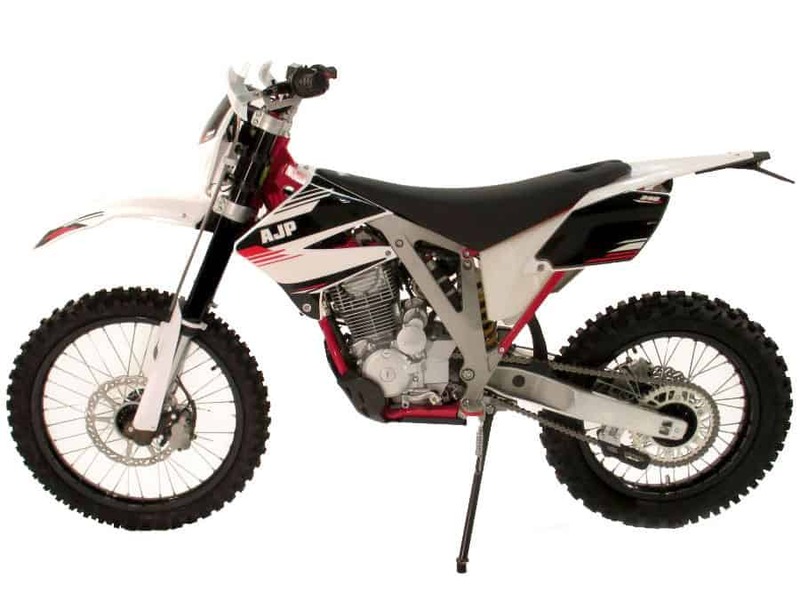 The fork is the WP AER 48 air fork, and the shock uses linkage, very similar to the motocross bikes. The 300 has a 72mm bore, whereas the 250’s is 66.4. Otherwise, the 250 and 300 are identical. 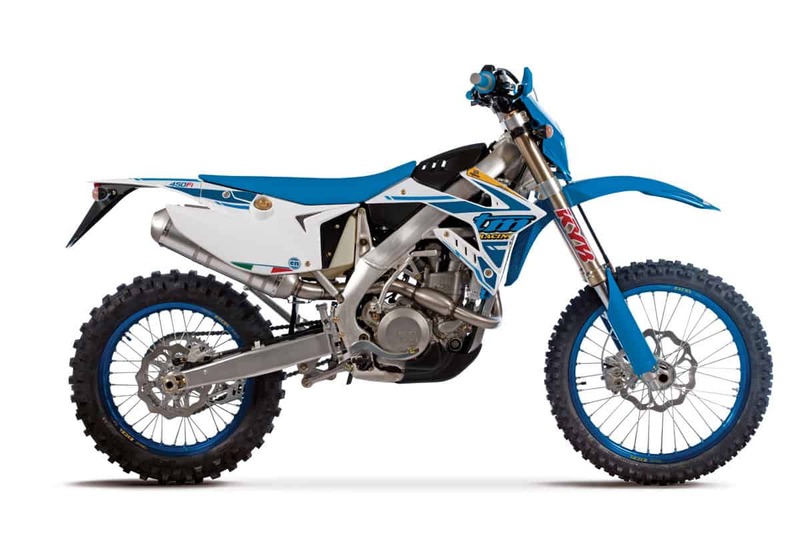 Sherco is a young French company that has already earned a World Enduro championship. The bike that did it was the SE-F 300 four-stroke. It’s an electric-start, EFI four-stroke with a six-speed gearbox, and it quickly became the favorite of Matt Phillips. The 250 has 8mm less bore. The SC300 Cross-Country has a closed-cartridge fork, an Akrapovic exhaust and a price of $10,000. 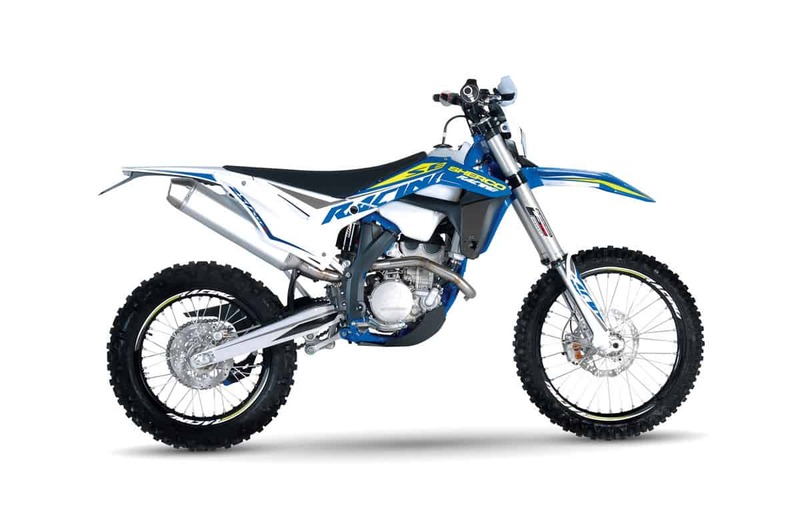 Sherco’s Cross-Country two-stroke models come with an FMF exhaust system. 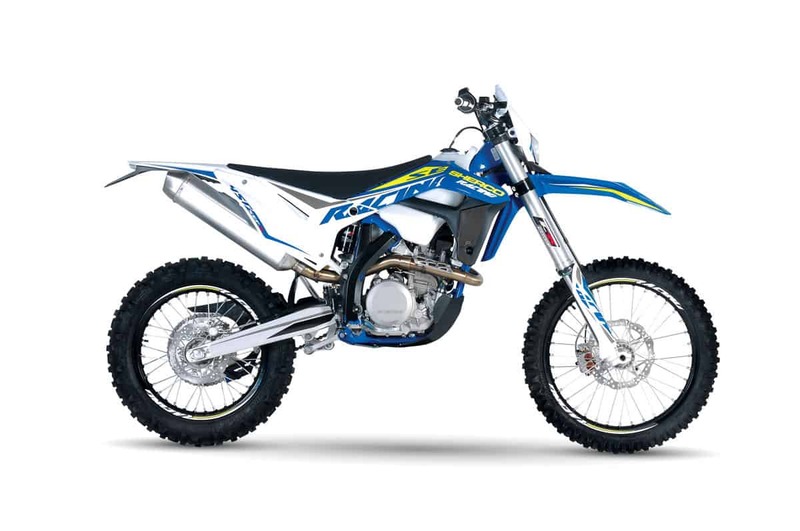 All Cross-Country models come with blue race bodywork and graphics, a WP closed-cartridge fork and a new WP shock with more aggressive valving. There are no lights on the Cross-Country models. For 2018 the 300 gets a new piston, rod, crank and engine mapping. The 300 and 250 TM four-strokes have EFI and electric start and still retain their kick-starters. The fuel tanks are located under the seat, while the air filters are over the engine. Both bikes get a new, lighter aluminum frame for 2018, as well as a treatment for reduced friction in the KYB fork. They don’t get the new motor that comes in the 250 four-stroke MX bike. 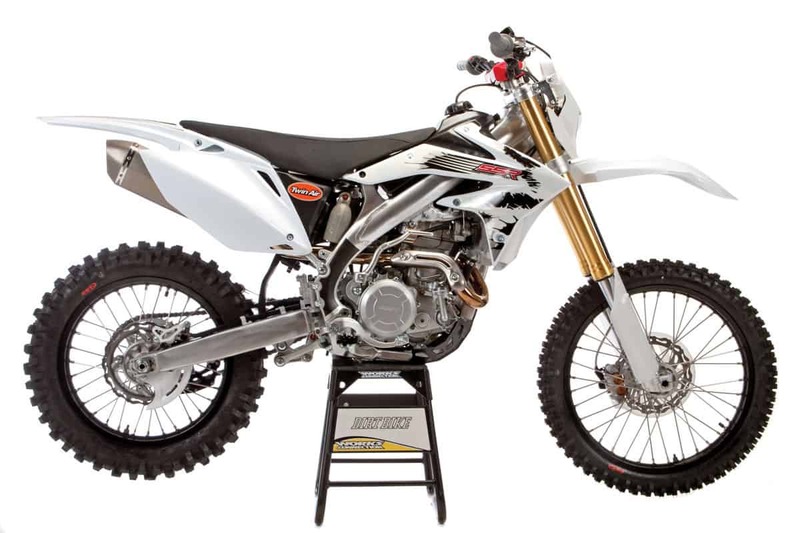 TM has become known as a two-stroke company in the U.S., and both the 250 and 300 are aimed at the old-school two-stroke enthusiast. They are kick-start-only bikes with electronic power valves and six-speed gearboxes. The frames are aluminum. The forks are KYB. The brakes are Nissin, and the rear shocks are made in-house by TM on both machines. 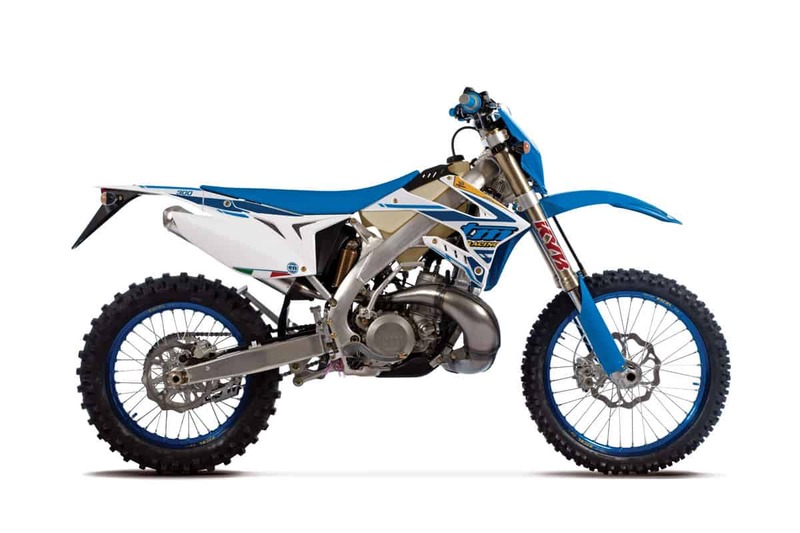 Sherco has its roots in the trials world, and the X-Ride reflects a little of that background. 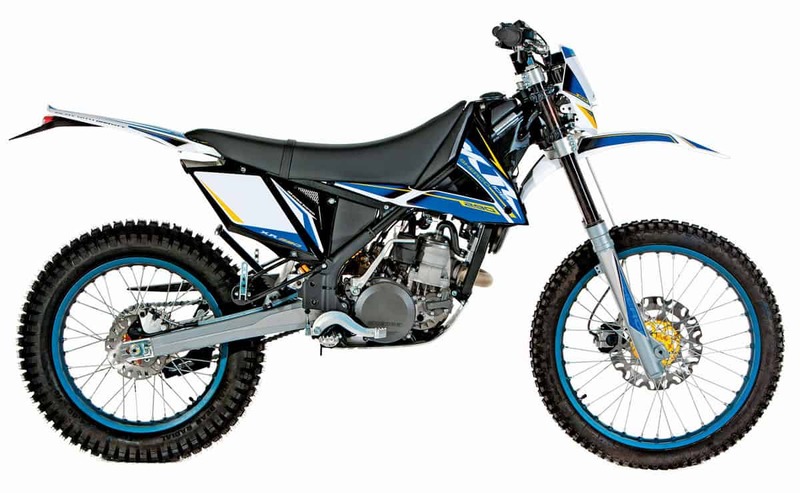 The bike is a very lightweight, 272cc two-stroke without electric start or a power valve. It uses a Dellorto carb and has a stainless steel head pipe that’s so long it looks like something off a four-stroke. 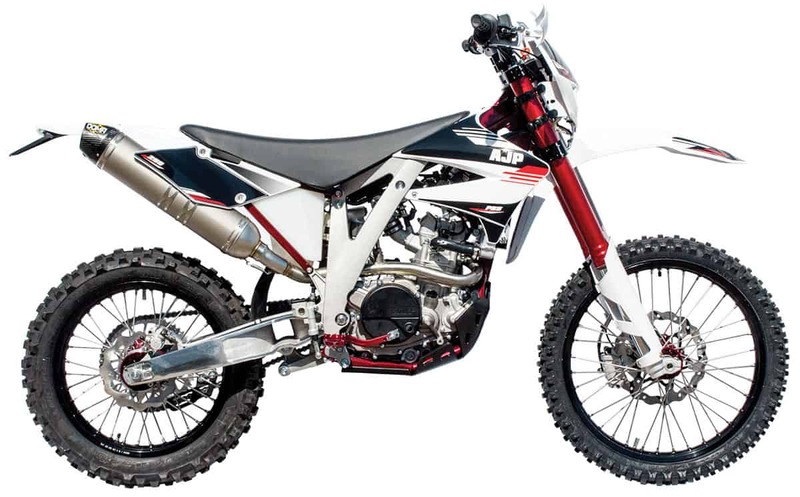 The X-Ride is aimed at very tight trail riding, similar to the Beta Xtrainer and KTM Freeride R.
AJP motorcycles come out of Portugal, although the motor in this particular model is sourced in Asia. It’s an electric-start, liquid-cooled, EFI four-stroke with some very expensive parts, including a titanium/carbon fiber Doma exhaust system. There’s a less expensive version of the PR5 without some of the bling for $6495. The Beta 250 shares the same chassis and most of the same motor with the 300RR. It has only 5.6mm less bore, which gives it a snappier response that some riders prefer. It has electric start (no kick-start lever this year), oil injection, revamped Sachs suspension, and, for 2018, it has a big weight reduction, a new clutch, a new combustion chamber and other updates. There’s a 250RR Race Edition for $8950. This is the last of a vanishing breed—the small-bore, carbureted trail bike. 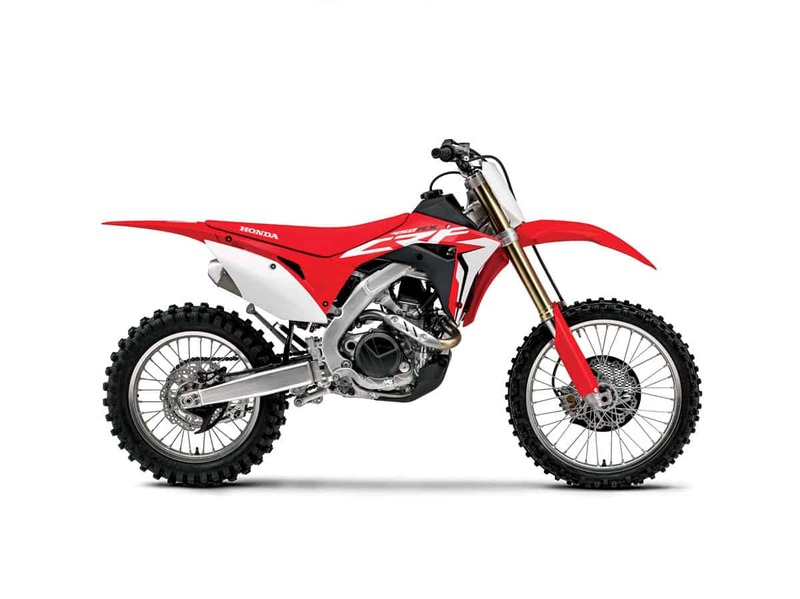 The 250X carries forward the tradition of the iconic XR250, but does it with liquid cooling and electric start. 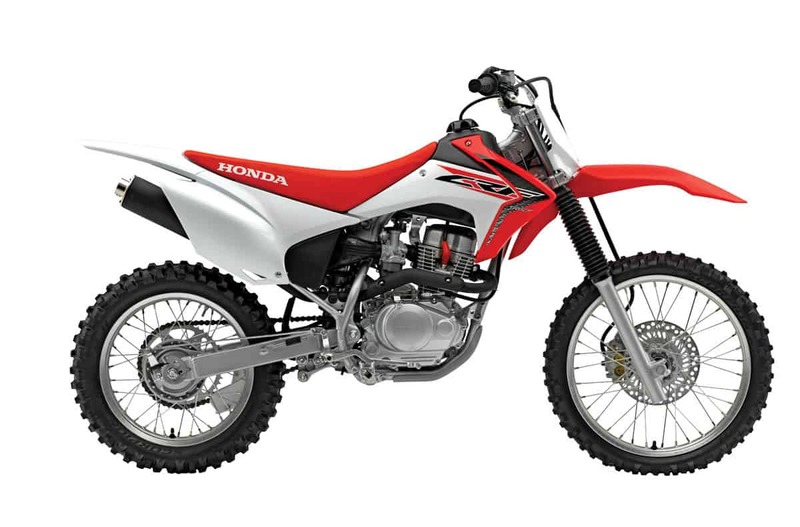 The Honda passes all regulations for a trail bike and does so without a throttle stop or restrictors. The X’s performance is good in stock form, but it’s challenging to build it into a competitive race bike. 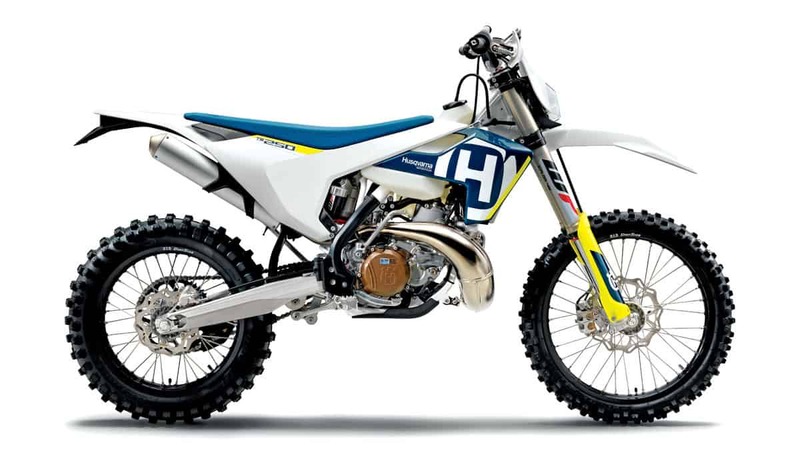 Husqvarna will be importing a fuel-injected two-stroke off-road bike in limited numbers for 2018. The TE250i features injectors placed in the transfer ports with a Dellorto throttle body and oil-injection. For now, the bike isn’t homologated to pass U.S. emissions tests, so it is imported as a closed-course competition bike. The chassis is the same as that of the standard TE250, which comes with a Mikuni carb. This bike shook up the world—or at least Europe—when it was announced. The transfer-port fuel-injection system makes it clean enough to qualify for Euro 4 emissions and the even tighter regulations to come, so it can be homologated for street use in some countries. That doesn’t include the U.S., where it is imported as a closed-course competition bike, just like other two-strokes. Aside from EFI, the bike is very similar to the carbureted XC-W. If you’re looking for an inexpensive trail bike, you have to consider the SSR250S. 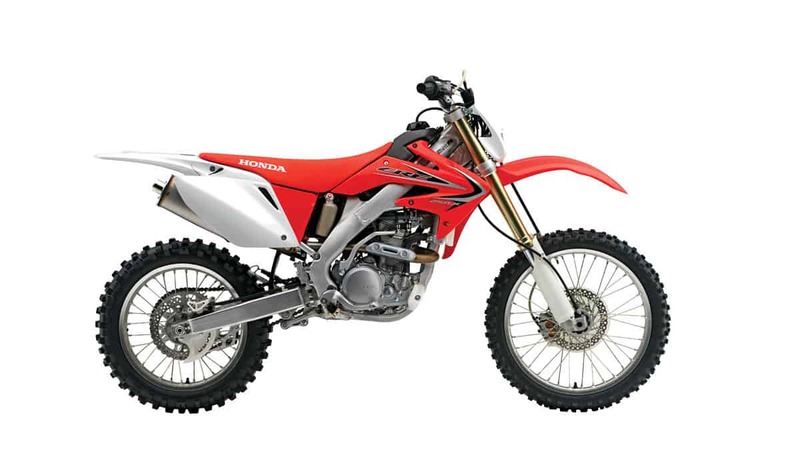 It’s admittedly based on the Honda CRF250X but sells for about three grand less. The SSR is made in China, but the quality is surprisingly good. It has electric start and a Teikei carburetor. The quality of the welds on the aluminum frame compares very well to anything from Japan. 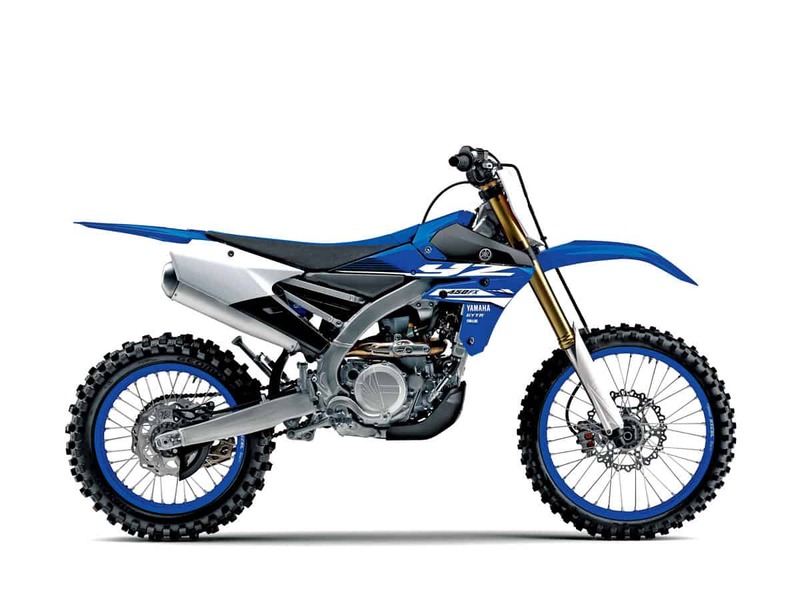 Yamaha gave the YZ250F motocross bike an electric starter, then re-tuned the power delivery and the suspension for off-road and came up with the 250FX. Along the way, it got a kickstand, a wide-ratio five-speed gearbox and an 18-inch rear wheel. 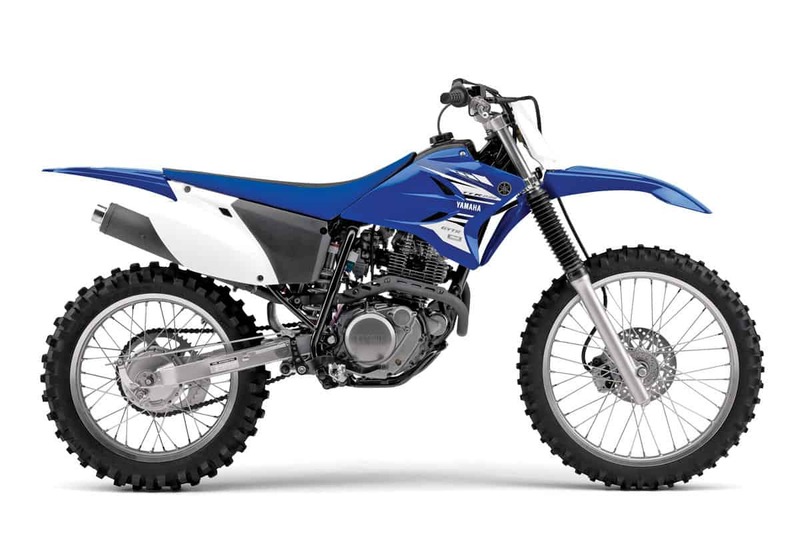 The FX still uses the YZ fuel tank, but the good news is that it’s still fairly large at 2 gallons. It’s considered a closed-course vehicle. 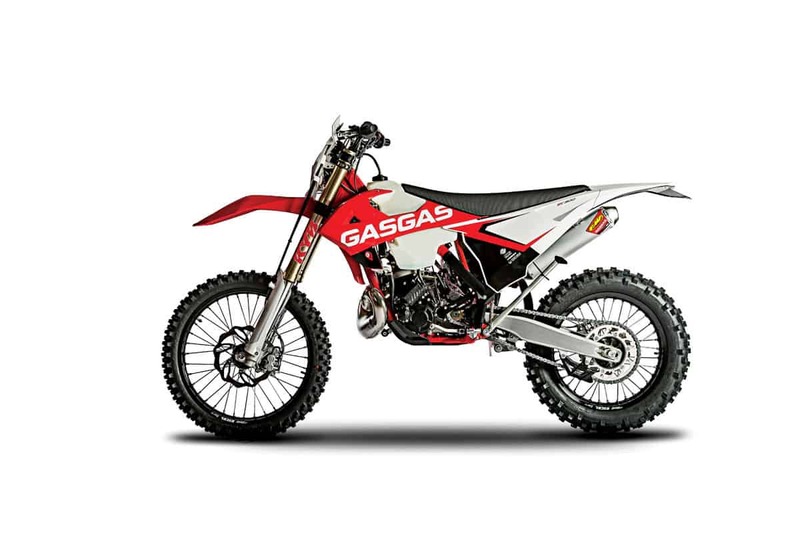 California is one of the few states that wants an EPA- and CARB-approved bike for most public lands, and the WR250F fulfills that requirement. In any state, though, it offers a truly quiet exhaust note, a headlight, an enduro computer and a radiator overflow tank. 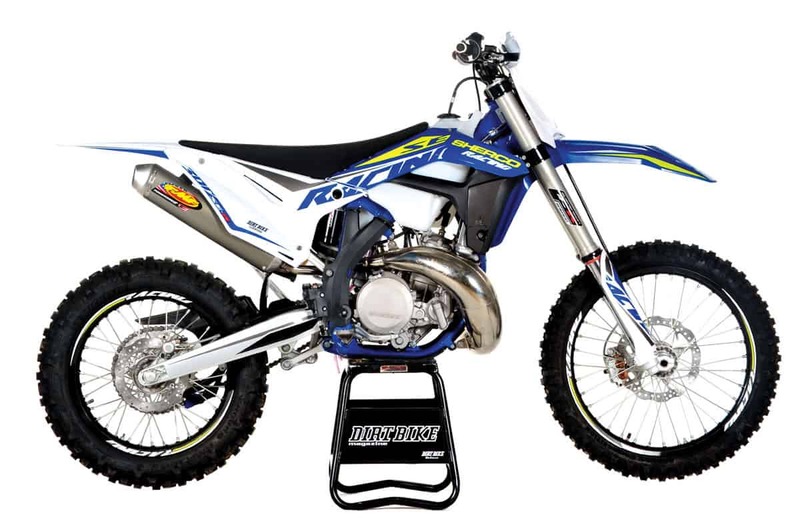 With a few aftermarket parts, it can be essentially transformed into a YZ250FX competition bike. 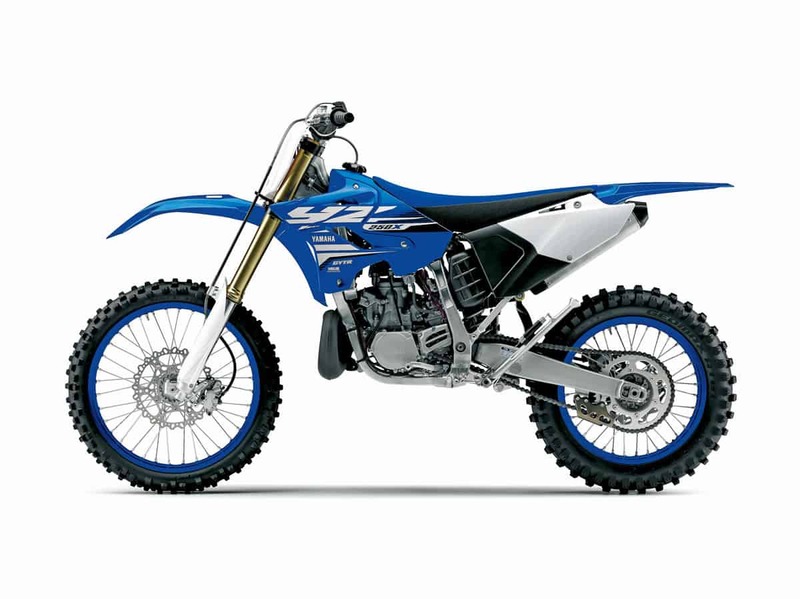 The YZ250X has suspension and power that are specifically aimed at off-road riding, and the gearbox has wider ratios than those of the YZ250 MX bike. The X lacks a larger tank and electric start, but is has a kickstand and an 18-inch rear wheel. 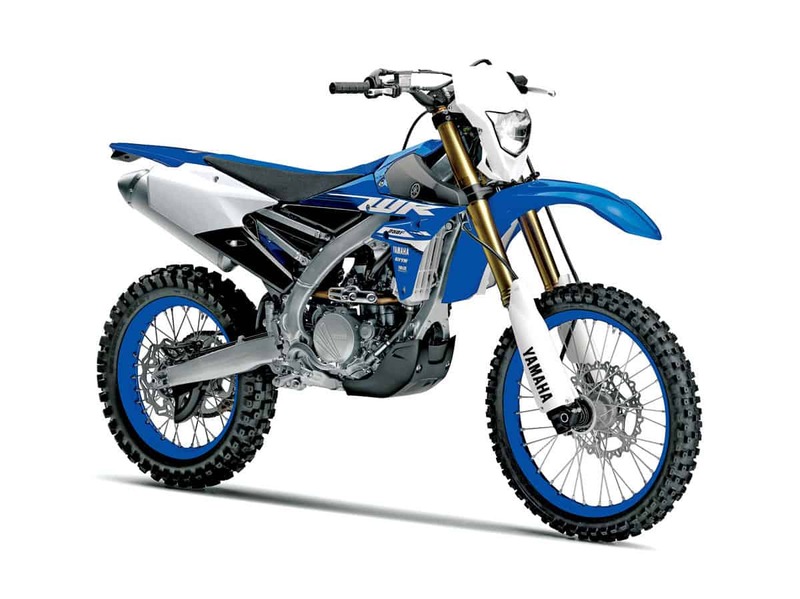 In off-road performance, the YZ is still competitive with the best two-strokes from Europe. The motor in the PR4 Enduro is an old-school, two-valve, air-cooled four-stroke with electric start and an oil cooler, but the chassis is fairly sophisticated. It has both steel and aluminum components. The fork and shock are made by Sachs. The PR4 Extreme has a number of additional features, including a factory wheelset, a Belparts exhaust and upgraded suspension.